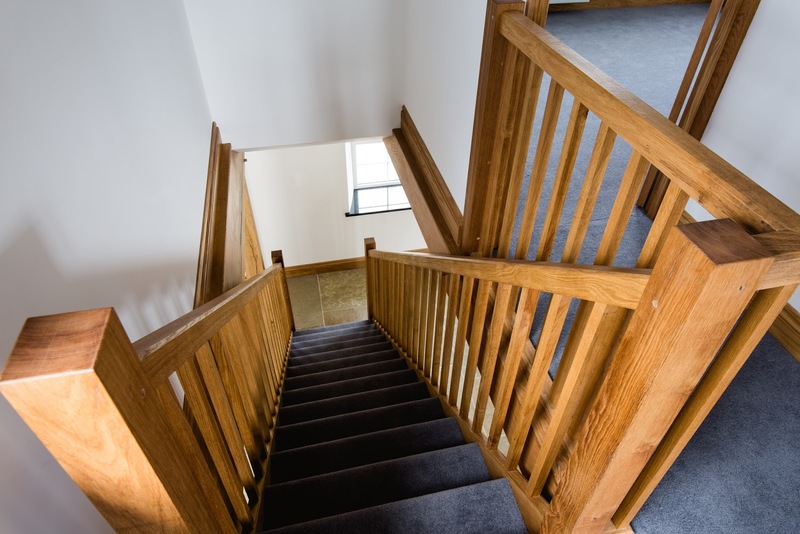 We installed these green oak trusses into a renovation project over 18 months ago, and then went back to make a solid oak staircase in late summer last year, but only recently did we get to go back and take some photos worthy of showing the work in the right light. 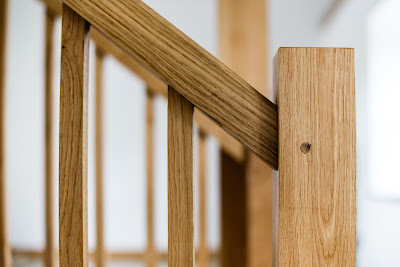 I always enjoy revisiting previous work, and seeing them in a finished setting...my portfolio has too many pictures of oak frames with scaffolding and cement mixers in the background. 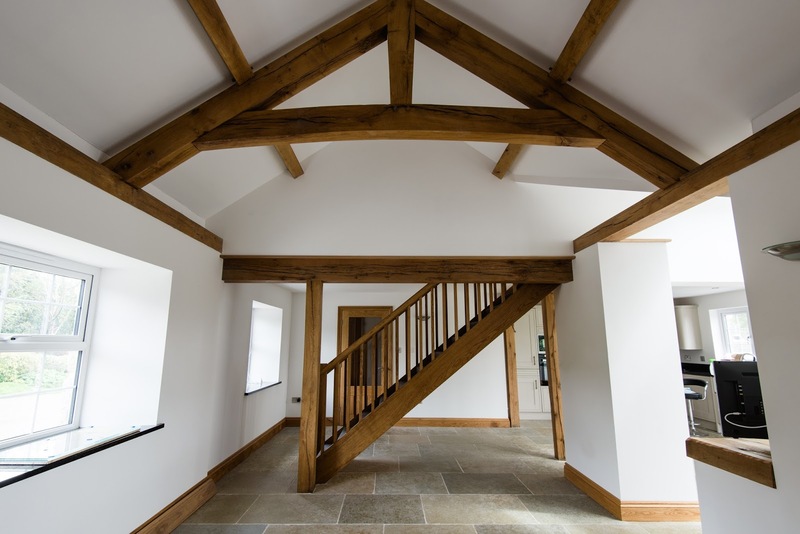 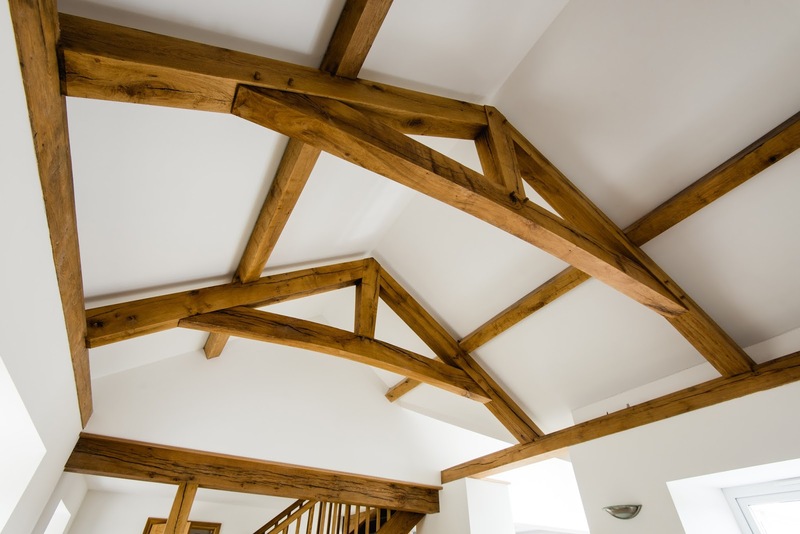 I don't often suggest oiling the oak frames that produce, but since the staircase warranted a protective finish, this customer decided on oiling the trusses too. I think the effect is a good one, and sets the timber off nicely against the crisp white plaster behind.